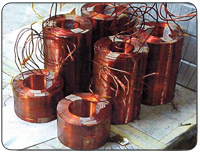 Control coils include a broad spectrum of designs and applications. 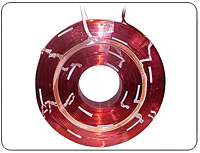 From the simplest relay coils, to complex power filtering equipment, to specialized coils for research. 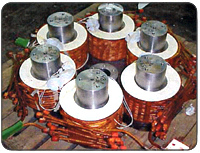 Coil designs can be as simple as small single winding bobbin coils or as complex as geometrically shaped, liquid intercooled coils with multiple windings and coil terminations… from coils the size of a matchbox car to coil assemblies weighing over a ton. At Stimple & Ward, we manufacture them all. Each design is carefully reviewed and unique manufacturing processes & tools designed to get the job done.